India is a religious country. 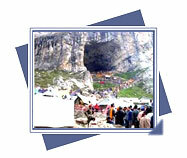 For an ancient time this aspect of India has attracted people from all over the world. 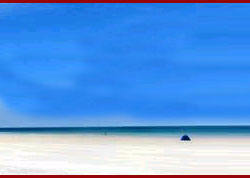 This is the source land of many new panths and religion like Jainism, buddism, Sikkism etc. All the tour and trips refresh your body and mind only but the only spiritual tour that can give you the peace of mind, refresh your essence, body and mind together is the Spiritual Tour of India. 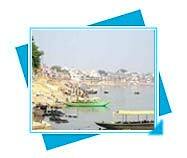 Spiritual Tour India covers almost all the famous and important pilgrims centers of India like Varanasi Ghats, in this ancient city of pilgrimage, the bathing ghats are main attraction. People flock here in large numbers every day to take bath and worship in the temples built beside the river bank, Vindhyanchal Temple; this is one of the holiest shrines for Hindus. It is the abode of Goddess Durga or the Goddess of Power, and is the most popular in this part of India, Hanuman Mandir of Delhi, and this elegant temple stands on the south-eastern side of Ranmal Lake. The 24-hour chanting of the mantra 'Sri Ram, Jai Ram, Jai Jai Ram', which has been going on in the temple since August 1, 1964, has earned a place in the Guinness Book of Records. Hanuman Mandir located on the Bada Kharak Singh Road (old Irwin Road) about 250m southwest of Connaught Circus, this temple is of little architectural importance. This is one of the holiest shrine for Hindus. 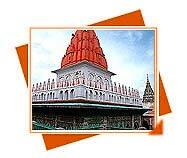 It is the abode of Goddess Durga or the Goddess of Power, and is the most popular in this part of India. 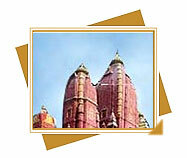 Hanuman Garhi is one of the most important temples of Ayodhya. 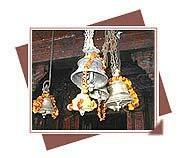 Situated in the center of the town, the temple is approachable by a flight of 76 steps. 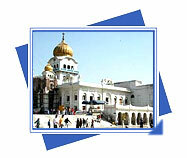 Bangla Sahib Gurdwara is located just a furlong away from the chief Connaught Place and has become a centre of pilgrimage for lakhs of people who throng the Gurdwara everyday. This Italian way Roman Catholic Church build in 1879 is situated west of Chandra Sekhar Azad Park between Edmondstone Road and Thornhill Road. 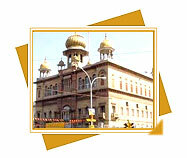 Near the Police Station, Chandini Chowk the good-looking golden domes of the Gurudwara Sisgunj immediately strike your eye. 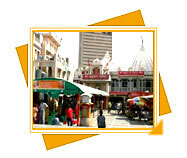 Located beyond the commercial complex of Nehru Place lies this temple dedicated to the goddess Kalka Devi. 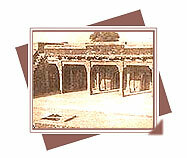 The Pathar Masjid well-known for its fluted minarets attached to its back wall is built of red sandstone. The top limit of the mosque resting on pillars is decked out with floral designs carved in low relief. 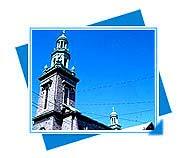 The mosque is assignable to seventeenth century AD.